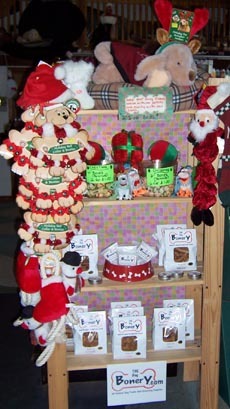 Our store has the supplies, premium foods and toys to keep your pets happy and healthy. We have tons of unique fun stuff at low prices. We carry Eagle, Blue Buffalo and Merrick foods. Feel free to compare our prices. 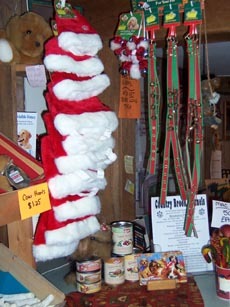 Also carried at the store are Sweaters, dog-coats and cookies to grooming supplies and colorful collars and leashes. We have a huge inventory of sweaters and coats to keep your dog warm. Falls just around the corner . Hey Look...Our Unique Country Store..come in on and shop! 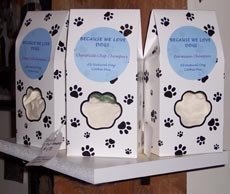 Blue Buffalo pet food and some new items in our store. Keep an eye out as Bonnie and Roy add unique hard to find and fun things at low prices!! 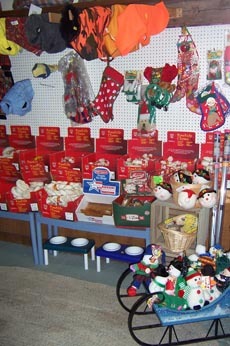 "one stop shopping for all your companion needs"
Lots of Lupine collars and crates, beds, bright carriers and more!! Casey Jones Bones by the Dog Bonery always in stock! !